OWN YOUR LOT!!! 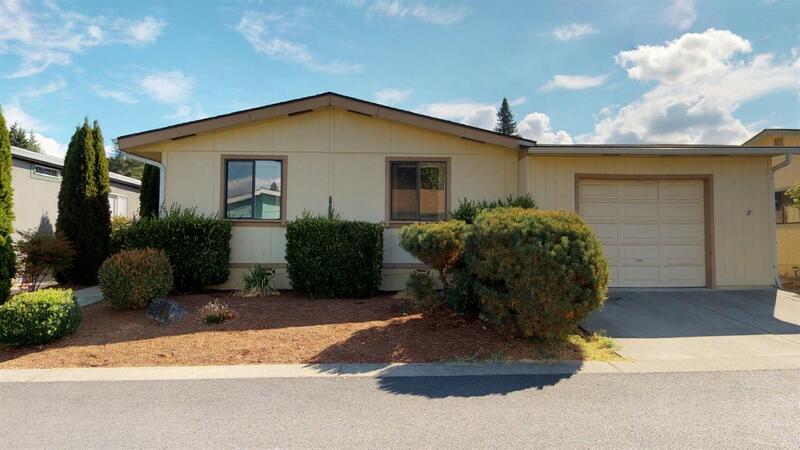 In this highly desired Secure 55+ Park with a 1989 Double Wide Manufactured Home. Located close to the hospital and shopping center. This home is 1400 sq. ft. with 3 bedrooms, 2 bathrooms. Good size kitchen with lots of cupboards. Large laundry room with extra storage space. Attached one car garage and large back patio is a great place to have BBQ's or for relaxation. New carpet has been installed throughout the home. Directions: SW Ramsey to SW Nebraska to Allen Creek Estates.